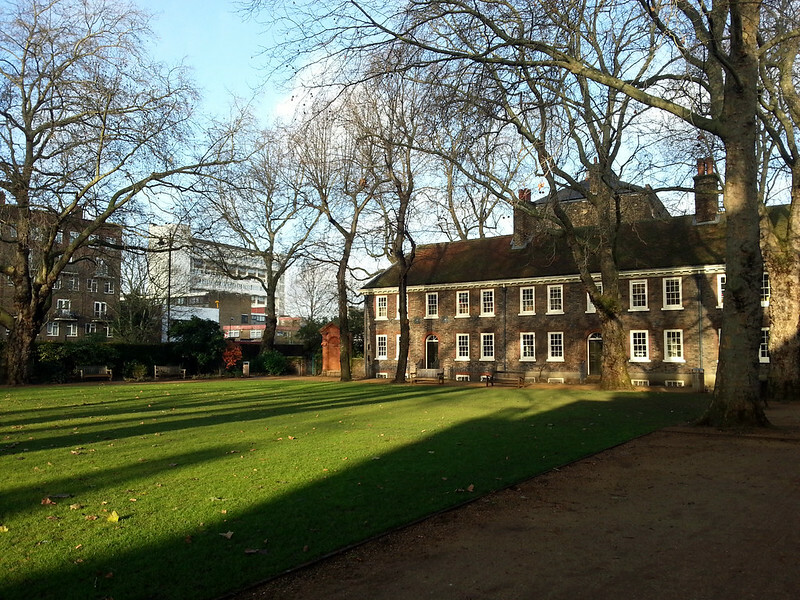 Our December coffee morning was held at the Geffrye Museum as per EEWI tradition. Many were hoping for snow, but the weather didn't cooperate. In fact, it was almost summery. 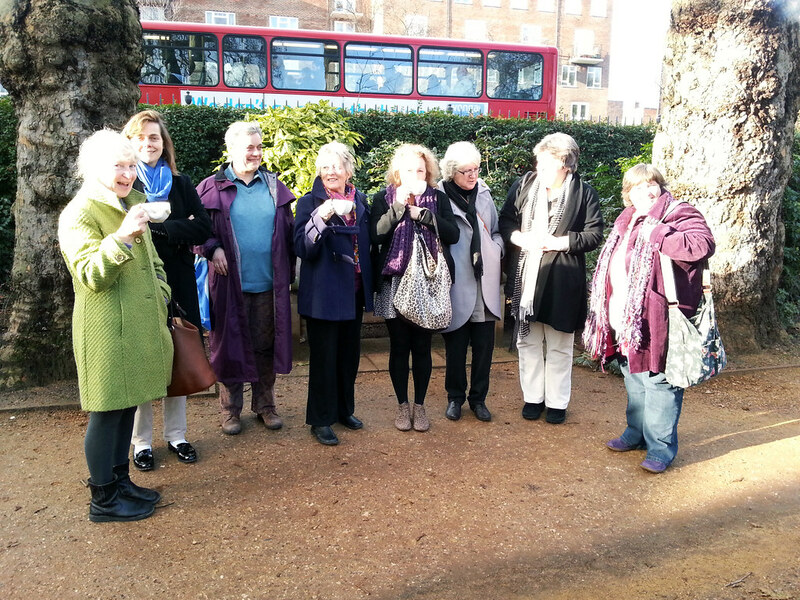 We sat down for frothy cappuccinos, enjoyed admiring the gardens, and even started on a bit of knitting. And then, the fire alarm went off. We calmly made our way to the nearest exits, cups in hand, and waited patiently outside for the firemen to sound the all-clear. Fire engines, wailing sirens, and men in yellow hardhats entertained us for the last coffee morning of the year. Thank goodness it wasn't snowing. Merry Christmas and Happy holidays to you all! Looking forward to seeing you again in the New Year.